MOSCOW, Idaho – Inside the Kibbie Dome, the transition from football to basketball season has begun. Long black curtains that partition off Cowan Spectrum – the home for Idaho basketball games inside the dome – have been hung and a set of bleachers is ready to be unfurled. 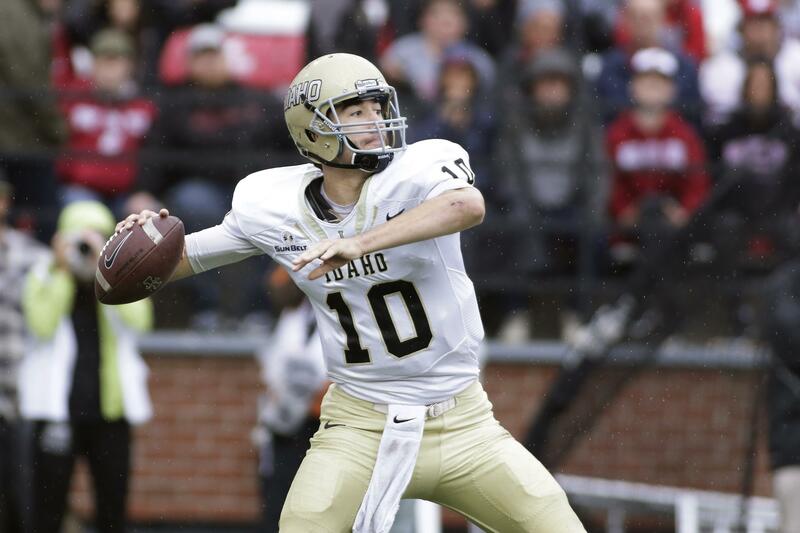 First, though, the Vandals football team has some business to attend to. On Thursday evening, UI completed its fifth practice to prep for the Famous Idaho Potato Bowl in Boise, where it will face Colorado State on Thursday at 4 p.m. PST. The Vandals (8-4, 6-2 Sun Belt) travel to Boise on Sunday and practice twice at Boise State’s practice facility before holding a walkthrough on Wednesday. They’ll also take part in Potato Bowl activities around the Treasure Valley that range from a winter sports day at Bogus Basin Mountain to a charity bowling event. Coach Paul Petrino wants his players to enjoy the program’s first bowl experience in seven years, but he also wants them to bring a businesslike approach to the state capital. The Vandals practiced in the snow on Sunday and Monday, their first two bowl practices after a week off to allow the coaches to recruit and the players to rest and prepare for finals. The last few days inside the climate-controlled dome they started to prepare in earnest for Colorado State (7-5, 5-3 Mountain West). Petrino said the team has practiced mostly inside because of the poor footing on its outdoor practice field turf. UI and CSU could be playing in wintry conditions at Boise State’s Albertsons Stadium. The high on Thursday in Boise is forecast for 33, but it will likely feel much colder (and potentially snowier) by the early evening kickoff. Published: Dec. 15, 2016, 10:56 p.m.